Considering the myriad of trusts available, creating an estate plan that works can seem daunting. However, that’s what I, as an estate planning attorney, do every day. I know the laws and will design a plan which addresses your specific situation. With a wide variety of protections and choices, these types of trusts support financial planning during an individual’s lifetime as well as after death. Here’s a look at the basics of eleven common trusts to provide a general understanding. Don’t worry, there will not be a quiz at the end. All you need to do when we meet is share your goals and insight into your family and financial situation, we’ll design a plan that incorporates the best documents for your situation. Bypass Trusts: Commonly referred to as Credit Shelter Trust, Family Trust, or B Trust, Bypass Trusts do just that: bypass the surviving spouse’s estate to take advantage of tax exclusions and provide asset protection. Charitable Lead Trusts: CLTs are split interest trusts which provide a stream of income to a charity of your choice for a period of years or a lifetime. Whatever’s left goes to you or your loved ones. Charitable Remainder Trusts: CRTs are split interest trusts which provide a stream of income to you for a period of years or a lifetime and the remainder goes to the charity of your choice. Special Needs Trusts: SNTs allow you to benefit someone with special needs without disqualifying them for governmental benefits. Federal laws allow special needs beneficiaries to obtain benefits from a carefully crafted trust without defeating eligibility for government benefits. Generation-Skipping Trusts: GST Trusts allow you to distribute your assets to your grandchildren, or even to later generations, without paying the generation-skipping tax. Grantor Retained Annuity Trusts: GRATs are irrevocable trusts which are used to make large financial gifts to family members while limiting estate and gift taxes. Irrevocable Life Insurance Trusts: ILITs are designed to exclude life insurance proceeds from the deceased’s estate for tax purposes. However, proceeds are still available to provide liquidity to pay taxes, equalize inheritances, fund buy-sell agreements, or provide an inheritance. Marital Trusts: Marital Trusts are designed to provide asset protection and financial benefits to a surviving spouse. Trust assets are included in his or her estate for tax purposes. 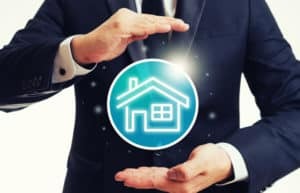 Qualified Terminable Interest Property Trusts: QTIPs initially provide income to a surviving spouse and, upon his or her death, the remaining assets are distributed to other named beneficiaries. These are commonly used to maximize estate and generation-skipping tax exemptions and provide tax planning flexibility. Testamentary Trusts: Testamentary Trusts are created in a will. These trusts are created upon an individual’s death and are commonly used to provide for a beneficiary. They are commonly used when a beneficiary is too young, has medical or drug issues, or may be a spendthrift. Trusts also provide asset protection from lawsuits brought against the beneficiary. Revocable Living Trust or Inter Vivos Trust:This trust has a duration that is determined at the time of the trust’s creation and can entail the distribution of assets to the beneficiary during or after the trustor’s lifetime. The opposite of an inter-vivos trust is a testamentary trust, which goes into effect upon the death of the trustor. Additionally, trusts can be used for privacy (to keep wills private) or estate planning. Still, one of the main benefits of setting up a trust remains the avoidance of high estate taxes or gift taxes. As you can see, there are many types of trusts available. These are just a few options. We’ll help you select which trusts are a good fit for you. Contact us today, we’d enjoying hearing from you.